Yarn Candy Monday: Hand Dyed Merino Roving... Jobo-Colors-Style!some handpainted merino top... destined to be 3-ply worsted weight mittens... maybe with buttons?Yarn Candy Monday: New Knit Pics Sock YarnYarn Candy Monday - Knit Picks Stroll Hand Painted... mmmmm pretty yarn!Yarn Candy Monday: not yarny so much...I'm out of new yarn to show you... Wanna see a neat book instead? I love reds and oranges! Had a red living room in my last house and now have a red kitchen. 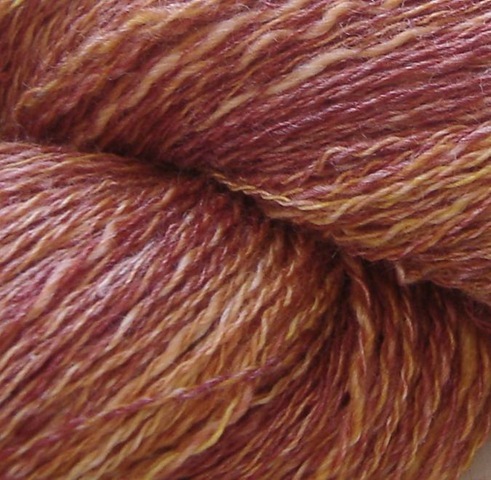 Very pretty yarn, can't wait to see the progress on the shawl. I LOVE Persimmon! And the Seasilk blend - have more of each on order! 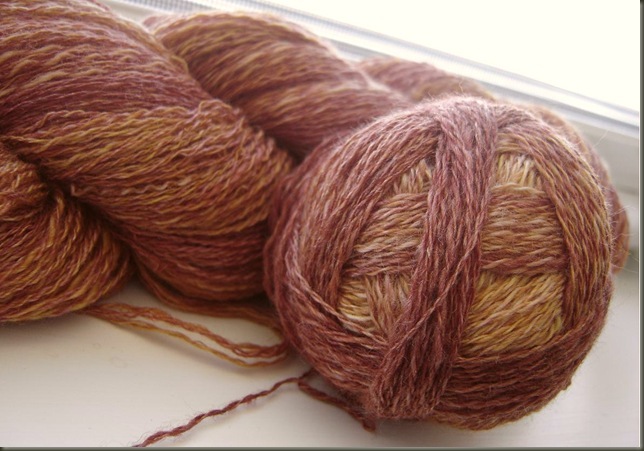 I did just get in two skeins of Persimmon in mill spun sportweight BFL that should turn into something luvverly. Whether I'll manage to part with it or keep it to use myself remains to be seen. Love, love, love it! I think this is my fave....so far.